What ‘plastic’ is it made from? These are made out of medical grade polypropylene. Ensure the correct dosage and administration of drugs to your patients with our Medicine Measure. Provided in a large and economic pack of 100, these lightweight measures have a cylindrical shape with curved lip that is easy to use. The transparent cylindrical body features 10ml graduations from 30 - 60ml - providing care givers with the tools to administer the correct dosage every single time. Perfect for a wide range of work environments from GP surgeries through to care homes, they can be stacked on top of each other when stored away or transported around the building. Each medicine measure is disposable after use and makes the consumption of liquids or gels much easier. 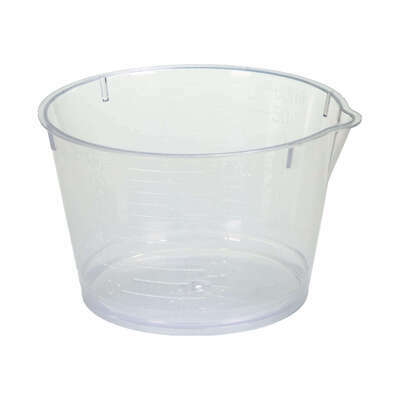 If you're looking for something slightly different, our Disposable Paper Pots come in a larger pack of 250. We also stock a range of First Aid & Medical Supplies including our Pill Cutter or Exactamed 10ml Syringes - all at exceptional wholesale prices.